Australia’s richest footrace, the Stawell Gift, returns to Central Park April 20 – April 22, 2019 over the Easter long weekend with three action-packed days of elite athletic racing, activities and family entertainment. Marking its 138th year of racing, the Stawell Gift remains one of the richest footraces in the world, and continues to be a prominent event on the Australian sporting calendar. 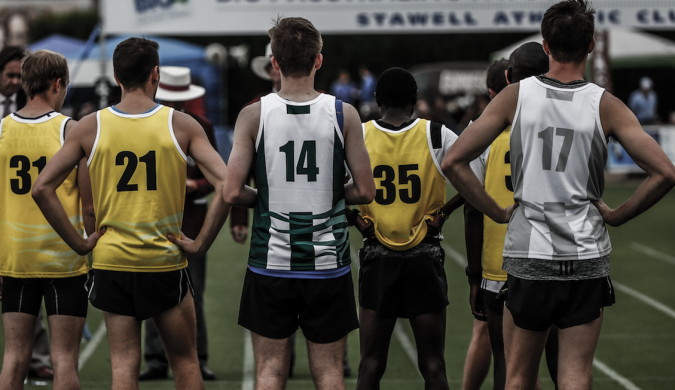 The Stawell Gift attracts athletes from all over the world, providing an opportunity to showcase their raw talent, skill, and speed to a national audience. The Stawell Gift carnival kicks off with the famous Calcutta and Call of the Card on Good Friday at the Stawell Town Hall. All the action starts on Ladies Day Saturday, whilst off the track the Fashions on the Field gives fashionistas a chance to showcase their latest autumn looks ahead of the running of the Men’s and Women’s Gift Semi Finals. It’s Family Day on Sunday with free entry for kids. The Cadbury Easter Egg Hunt is the biggest in the Grampians region and with a special visit from the Easter Bunny it’s the only place to be. There’s plenty of other activities as well including a kids athletic clinic hosted by Matty B featuring Australia’s elite athletes, an autograph signing session, Kelly Sports clinic, face painting, animal nursery and a jumping castle. Easter Monday is finals day, the pinnacle in Australian professional running. With a full day of elite running leading into Australia’s oldest and richest short distance running race, The Stawell Gift. There’s no bigger day as Central Park comes alive to celebrate. Stawell Gift Saturday April 20 – Monday April 22, 2019, tickets on sale now.